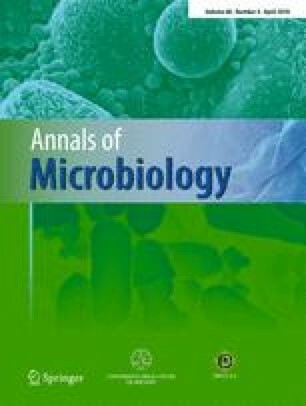 The metabolic responses of Aspergillus terreus NRRL1960 to stress conditions (low dissolved oxygen and pH with limited nitrogen and phosphate) in the two-phase fermentation were investigated in this study. The fermentation kinetics suggested that itaconate production was suppressed under low dissolved oxygen (DO) concentrations. A slight change in pH caused a significant change in itaconate production. The transcriptomic data revealed that under low DO concentration, the glycolytic pathway was uncoupled from the oxidative phosphorylation, resulting in the activation of substrate-level phosphorylation as an alternative route for ATP regeneration. The downregulation of pdh genes, the genes encoding ATP synthase and succinate dehydrogenase, confirmed the observation of the uncoupling of the oxidative TCA cycle from glycolysis. It was found that the upregulation of pyc resulted in a large pool of oxaloacetate in the cytosol. This induced the conversion of oxaloacetate to malate. The upregulation of the gene encoding fumarate hydratase with the subsequent formation of fumarate was found to be responsible for the regeneration of NADPH and ATP under the condition of a low dissolved oxygen level. The large pool of oxaloacetate drove itaconic acid production also via the oxidative TCA cycle. Nevertheless, the downregulation of ATP synthase genes resulted in the deficiency of the proton-pumping H+ ATPase and the subsequent stress due to the failure to maintain the physiological pH. This resulted in itaconate production at a low titer. The fermentation kinetics and the transcriptomic data provided in this study can be used for further process optimization and control to improve itaconate production performance. The online version of this article ( https://doi.org/10.1007/s13213-018-1330-6) contains supplementary material, which is available to authorized users. The authors would like to thank Dr. Kaemwich Jantama for his fruitful discussion on transcriptomic analysis. The work in RNA-seq gene expression analysis performed by D. Ashley Hill and her colleagues at ResourcePath, Sterlin, VA, USA are highly appreciated. The authors also thank Timothy Wesselman and Roshni Patel from OnRamp Bioinformatics, Inc. (San Diego, CA, USA) for their outstanding work on analyzing the RNA-seq data and differential gene expression analysis. Partial support from the Grant for International Research Integration: Research Pyramid, Ratchadapiseksomphot Endowment Fund (GCURP_58_01_33_01) and Thailand Research Fund via the Distinguished Research Professor Grant (DPG5880003) are also acknowledged. The research facility support from the Chulalongkorn Academic Advancement into its 2nd Century Project (CUAASC) is highly appreciated. PS is the recipient of the Royal Jubilee Scholarship Program, Thailand Research Fund.